Check it out! Rockport Jazz Camp for kids ages 11 to 18 (two of my students are there!) is taking place all this week at the Rockport schools, a collaboration with Rockport Music Shalin Liu Performance Center. Saturday, 10 am: FIVE PLAY jazz quintet performs a free, family concert. And, upcoming on the 27th, and I’m sorry I’ll miss this one, but students will be performing with members of the Jazz at Lincoln Center Orchestra! Members of the Jazz at Lincoln Center Orchestra will work with Rockport Jazz Camp students on such topics as improvisation, large ensemble performance, and instrument-specific techniques. Later that evening, student musicians from the Jazz Camp will participate in the Rockport Music Gala later that evening by providing musical entertainment as patrons stroll to Millbrook Meadow from the Shalin Liu Performance Center. Free, no tickets required. ˙Four students of the Cape Ann Piano Studio performed in a recital as part of the North Shore Piano Teachers’ Guild Shalin Liu Piano Recitals on Sunday, April 3. From left to right, Adelaide N., Julie Cleveland, Martina G., and Cat and Addie M.
So proud of my students, they all did a wonderful job! Bravo! Students of Cape Ann Piano Studio at the Shalin Liu Performance Center. 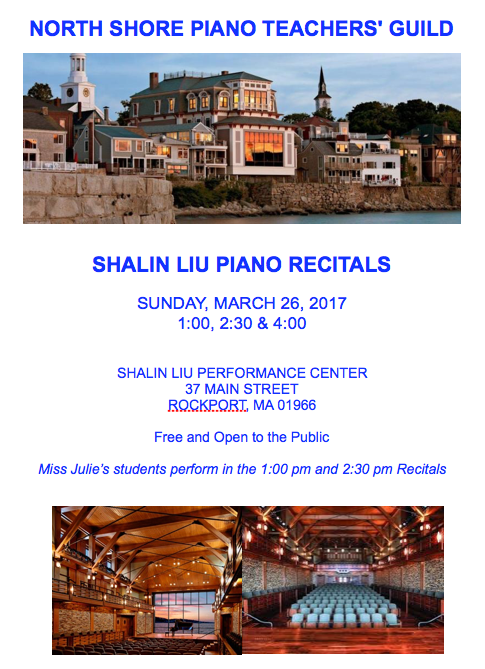 Four of my students will be performing this Sunday at the Shalin Liu Performance Center in Rockport, as part of the North Shore Piano Teachers’ Guild Shalin Liu Piano Recitals. Piano students from around the North Shore will be performing in three separate recitals; my students will be performing in the 2:30 pm recital, playing pieces by composers Dmitry Kabalevsky and Aram Khachaturian, and contemporary composers Catherine Rollin and Martha Mier. Recital is free of charge, handicapped accessible. 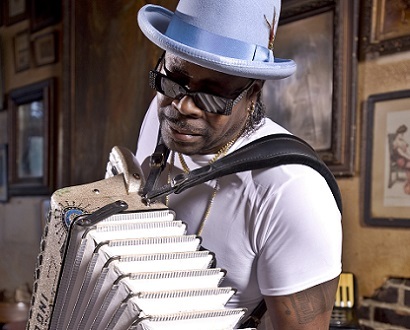 Please visit www.rockportmusic.org for info regarding directions and parking; if you’re coming, allow extra time for parking! The Shalin Liu at night, what a view!